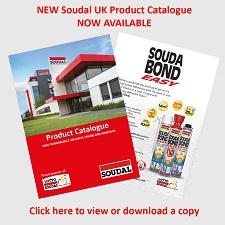 As a result of several years of impressive sales growth in the UK, Soudal (UK) Ltd have now re-located to new premises in the UK. The new premises are significantly larger than the previous home for Soudal and represent an important investment and commitment into the UK market. The new warehouse space will ensure that service levels will continue to improve. As a result of the additional space the UK product range can also be developed much further. This will allow further strengthening within core UK markets and also open up new and exciting possibilities in other segments of the market. Other investments as part of the move include a new and faster IT infrastructure, improved telecommunications system, new warehouse racking and all new warehouse vehicles. The larger offices include an improved product Showroom, more meeting rooms and a more efficient and comfortable working environment for the sales, marketing and operations teams.